SUPPOSE YOU’RE IN AN AMSTERDAM COFFEE SHOP and you happen to be sharing a table with a Dutchman big on their football. You talk for a while and come upon the topic of their nation’s best national teams. They will undoubtedly be quick to list the iconic Total Football sides of the 1970s and the 1988 team that won the nation’s sole title. The teams of 1998 and 2000 that suffered perhaps undeserved semi-final heartbreak may even come up. However, one side likely absent from the conversation is one that equaled De Oranje’s best ever showing at a World Cup: the class of 2010. It’s a warm July morning and the Netherlands have just lost their third World Cup final in the cruelest of ways, conceding a goal with four minutes to go until a penalty shoot-out. The greatest prize in football continues to elude them, and the nation is in collective mourning. Or so you’d think. As the dust settles on that dreaded night in Johannesburg, it becomes clear that this expected reaction is not what takes place. Whilst much of the nation is seeped in sorrow, many seem to feel differently. Many, including the father of modern Dutch football himself, Johan Cruyff, are in fact relieved that this Oranje side did not get their hands on the nation’s maiden World Cup trophy. So why is this? Why has such a successful side divided a nation so much? Up until the start of the 1970s, the Dutch were not a hugely relevant nation in the world of football. They had only qualified for two World Cups since the competition’s birth back in the 1930s, and had never entered the European Championships. Then came Rinus Michels, Johan Cruyff and Total Football. Within a decade, Dutch football had been completely revolutionised, becoming the very best both at club level and in terms of De Oranje, who reached consecutive World Cup finals in 1974 and 1978, playing bold, breathtaking and beautiful football. From then on, the Dutch took pride in their reputation for playing such football. However, aside from Michels returning to lead a Marco van Basten-inspired side to European Championship glory in 1988, the Dutch failed to get their hands on silverware they so desired. It was the same old story at Euro 2008. The Dutch dazzled the world with two incredible performances to begin the tournament, beating Italy and France 3-0 and 4-1 respectively. With Van Basten on the touchline and an array of attacking talent such as Ruud van Nistelrooy, Robin van Persie, Arjen Robben and Wesley Sneijder on the pitch, everyone in and out of the Netherlands was excited by the side. However, things came undone in the quarter-finals, where a Russian team managed by none other than Dutchman Guus Hiddink dumped the side out, exposing their defensive frailties. Van Basten would leave to manage Ajax immediately and the KNVB appointed Bert van Marwijk as his replacement, who was given a two-year contract and tasked with leading De Oranje to South Africa. As qualification began, it became clear that Van Marwijk had one goal and one goal only: winning. And aside from some questionable friendly performances, this is exactly what his team did. While the football they played was not spectacular, it was successful, and they entered the World Cup with a perfect record, having conceded just two goals in eight games. Van Marwijk had inherited a rather unconvincing defence when he took the job, with the central defenders in particular looking like their weakness. However, instead of compensating for this in the traditional Dutch way by simply trying to score more than they conceded, the manager made protecting his defenders a priority. Attacking talent such as Rafael van der Vaart and Eljero Elia were sacrificed to do so, with Nigel de Jong and Mark van Bommel forming a two-man wall in front of the back four and the industrious Dirk Kuyt being selected out wide. This would leave arguably the Netherlands’ three best players, Robben, Van Persie and Sneijder, tasked with providing the creative spark further forward, and they did just this. Whilst Van Persie had enjoyed a respectable club season, scoring 16 goals, it was largely swamped by injury. Robben and Sneijder, on the other hand, were both enjoying the best form of their careers, leading their clubs to domestic doubles and facing off in the Champions League final, with Sneijder’s Internazionale coming out on top. They were two gems in what was a fairly uninspiring Dutch squad, and would have to perform if the nation was to have any chance of success in South Africa. Bearing this in mind, disaster struck when, just a week prior to the tournament, Robben turned awkwardly in a friendly against Hungary and tore his hamstring. It looked as if he would be out of the tournament. The expectations from the Dutch fans had never been sky high heading into the tournament, and with this blow they dropped even lower, with most of the nation expecting and accepting that the side would reach the quarter-finals due to fairly easy fixtures before bowing out to Brazil. As the tournament kicked off, little was shown in the team’s opening matches to suggest otherwise. 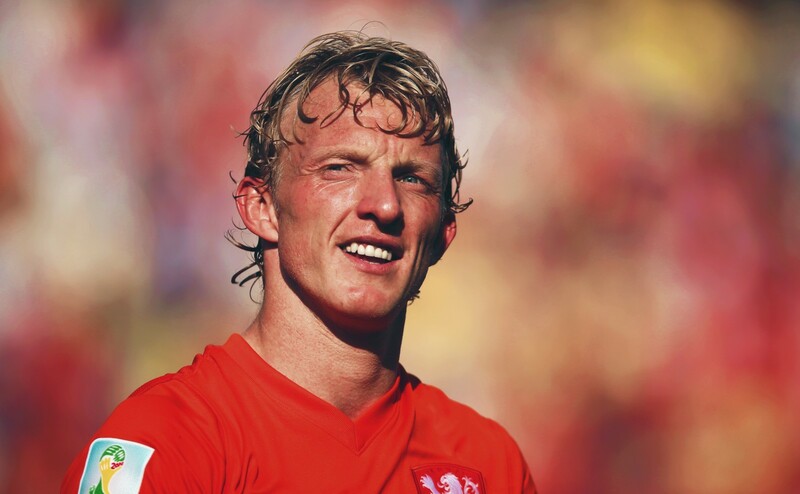 In their first game they defeated Denmark 2-0, taking the lead shortly after half-time due to a fortuitous own goal, before Elia came on to inject some desperately needed flair and impetus into the team, setting up Kuyt for the second goal. Their second game was uninspiring too, as they defeated Japan 1-0 thanks to an effort from Sneijder. Despite the fact that the Dutch had a 100 percent record and were performing best of all the European giants at this early stage, the mood back in the Netherlands was one of scepticism. The team may have been getting results, but they were not playing the exciting and vibrant football the nation had come to expect. The results alone were not enough. While the next game was yet another unconvincing win, this time a 2-1 victory against Cameroon, the Dutch had something to be excited about: the return of Arjen Robben. It had initially seemed he would be ruled out of the entire tournament, but due to extensive work as well as injections, which his employers in Munich were not happy about, he was rushed back and declared fit again. Any question marks over how fit he was, in the short term at least, were answered in the game against Cameroon when he came off the bench to pull off his trademark move, cutting inside from the right and curling a shot with his left foot onto the post, with Klaas-Jan Huntelaar converting the rebound. The team all went over to congratulate and celebrate with Robben. They knew they had their joint-strongest asset back, and their chances of success had been given a huge boost. Robben made his first start of the tournament in the next game, a knockout round clash against Slovakia. He proved instrumental, scoring an excellent goal reminiscent of his many others, earning a man of the match award in the process. Sneijder, the only man perhaps more important and impressive for the Dutch, scored his second of the tournament and the side held on following a late Slovakia penalty to secure their place in the last eight and a clash with Brazil, where the two men would yet again make the difference. Most believed that this would spell the end of what would be a mediocre tournament showing from De Oranje. The South Americans had comfortably topped the Group of Death and were many people’s favourites to lift the trophy, never mind just beat a Dutch side who had only won one match by more than a single-goal margin so far. After 10 minutes it looked as if this would indeed be the case, as Felipe Melo split the Dutch defence open with worrying ease, playing a through ball for Robinho, who stroked it past Maarten Stekelenburg. Things didn’t get any better for the Netherlands for the rest of the half, with Brazil dominating but only taking a one-goal lead into half-time thanks to two excellent Stekelenburg saves from Kaká and Maicon. The only threat from De Oranje was Robben, who was giving Michel Bastos a torrid time. This is what would provide them with a route back into the match, as Robben countered and drew a foul from the Brazil left-back. From the free-kick he played the ball back to Sneijder who swung in an excellent cross from deep, causing havoc in the Brazil box and somehow finding its way in for the equaliser. This rejuvenated the Dutch who now looked like an entirely different team from their first-half showing. Robben led the charge as his countrymen got a foothold in the game and became the better of the two sides, and it was he who won and took the corner that landed perfectly on the head of Sneijder who scored his second of the game and fourth of the tournament to put the Netherlands 2-1 up. Brazil capitulated from here, with Melo seeing red in both the figurative and literal sense following a stamp on Robben. The Dutch held on to suddenly become real contenders to lift the trophy, and for the first time, there was some excitement and buzz around the side, who had shown mental strength and spirit to knock out the favourites. “Maybe people laughed at me when I said we were coming here to be world champions,” said Van Marwijk after the match, “but you need to believe in something. I believe.” This belief was spreading with only two matches standing between them and a maiden World Cup triumph, the first being against a beatable Uruguay side. Eighteen minutes into this match came the goal of the tournament from Dutch captain Giovanni van Bronckhorst, who fired a stunning shot into the top right corner of the Uruguay goal from 35 yards out. He was to retire after the tournament, and he ensured he went out in style. From here it was yet again Sneijder and Robben who made the difference, scoring the second and third goals respectively following a Diego Forlán equaliser. Uruguay went on to score a late second and push for an equaliser but the Netherlands stood firm to make it to a third World Cup final, joining the iconic teams of the 70s. Upon being asked about how this felt, Van Marwijk said, “They inspire us, but now is another time. I will not think about the legacy we leave, we first have to play the game.” Throughout the tournament Van Marwijk had constantly spoken like this, dismissing talk of “reputation” and “legacy” in favour of success, but not even he could have imagined what a tarnished and condemned reputation it would turn out to be following the final. So far in South Africa, the team had by no means played well enough to be considered alongside the teams of the 70s, 1988 and 1998, but equally, they were not hated. De Jong and Van Bommel had gained vast amounts of praise for their performances, Kuyt had become a fan favourite for his selfless and industrious performances, and while the team had not performed particularly well in an attacking sense, Sneijder and Robben had, continuing on their form from their club seasons. Furthermore, the team had shown a togetherness and resilience that many of the nation’s sides before them had so dearly missed. Had the final gone differently, this team may have even been fondly remembered throughout Holland. The final was to be played against Spain, the other footballing child of Cruyff. He, alongside Michels, introduced Total Football to his home nation in the 70s before moving on to Barcelona as both player and manager to do so there. This Spanish team was the direct influence of his time in Spain, with it playing the style of football he had introduced to them and consisting of many players who had come through from La Masia, Barcelona’s famed youth academy, the brainchild of Cruyff himself. His affinity and connection to this Spanish team was so strong that he said he’d take “intense joy” were they to win. His home nation may have been in this final, but it was not the men in orange who would represent Total Football and the legacy of Michels and Cruyff in this game. The biggest game in football kicked off with Spain dominating and the Netherlands sitting deep allowing them to do so. However, giving so much time and space to the likes of Xavi, Xabi Alonso and Andrés Iniesta was proving far too dangerous. Bearing this in mind, there was a shift in tactics, as the Dutch began pressing the Spanish intensely, seeking to give them no time on the ball and break up their play, literally. The rest of the first half was dirty, hitting its low point when De Jong thrust his boot high into the chest of Alonso in what would become an iconic image of the Dutch performance that night. Nevertheless, the sides went into half-time level, and perhaps more shockingly, with 11 men apiece. The second half continued in the same vein, and although the Spanish most definitely weren’t blameless – a fact that is often forgotten – they were certainly the lesser of two evils, with the Netherlands continuing to impose themselves on their opposition as much as the laws of the game possibly allowed. However, the aggressive tactics from the Dutch were working, with Spain failing to create anything of note, and when the first clear chance of the final finally came just after the 60th minute, it fell to the men in orange. Robben was put in behind the Spanish defence and through on goal by a stunning pass from Sneijder. The world held its breath as Robben bared, only to be agonisingly denied by the toe of Iker Casillas. He had another opportunity in the 82nd minute, outpacing Carles Puyol to chase down a flick-on by Van Persie. The Spaniard clearly pulled Robben back and would’ve undoubtedly seen red had Robben gone to ground. By the end of the 90 minutes, it’s fair to say that Spain should’ve had one red card for Puyol and the Dutch at least two, for De Jong and Van Bommel. The inevitable dismissal finally came in the 111th minute, with Heitinga given his marching orders via a second yellow card for a pull on Iniesta. The Dutch had already began to tire in extra time due to their extreme pressing throughout, so with 10 men and no substitutions left, were forced to play Van Bommel at centre-back with Sneijder and Van der Vaart shielding the defence, leaving a huge task to hold on for penalties. The first and final blow came with just four minutes left, as Iniesta volleyed the ball past a desperately scrambling Van der Vaart and the right hand of Stekelenburg. The Dutch had lost their third World Cup final, and unlike the other two occasions, they had not done it in style. The nation so often loved and adored by neutrals for its beautiful style had betrayed its traditions and principles in pursuit of victory, and had failed. In the eyes of many, the Dutch team had brought shame upon themselves, and their performance was condemned throughout the sport, being dubbed a disgrace for their dirty and cynical tactics. Their nation initially stood behind its team, giving them a huge hero’s welcome in Amsterdam days later. The fact is, though, that nations such as Germany and Italy may enjoy and even embrace playing the villain’s role in football, but the Dutch, proud of their rich history, heritage and heroes of yesteryear, do not. They favour style over substance. If Cruyff is the father of Dutch football, then Louis van Gaal is the weird uncle, and neither are ones to sit on the fence, usually ending up on opposite sides of it. Whilst many stood with the former who dubbed the performance “an ugly, vulgar, hermetic, anti-football disgrace”, others, mainly younger and less intertwined and impassioned in the tradition and culture of De Oranje, agreed with Van Gaal, who said, “Physical resistance is part and parcel of football. The referee will point out what the limits are and I think the team did not cross the line.” The debate rages on to this day and will continue to do so for years. There are many philosophical debates that can be brought into the argument. Is it better to die good or live as a monster? If you don’t make sacrifices for what you want, what you want becomes the sacrifice. But as was so often the case, it is perhaps best summed up by the late Cruyff himself: “Quality without results is pointless. Results without quality is boring.” We can only hope someday that the Dutch will find the balance, preferably without any feet to the chest.